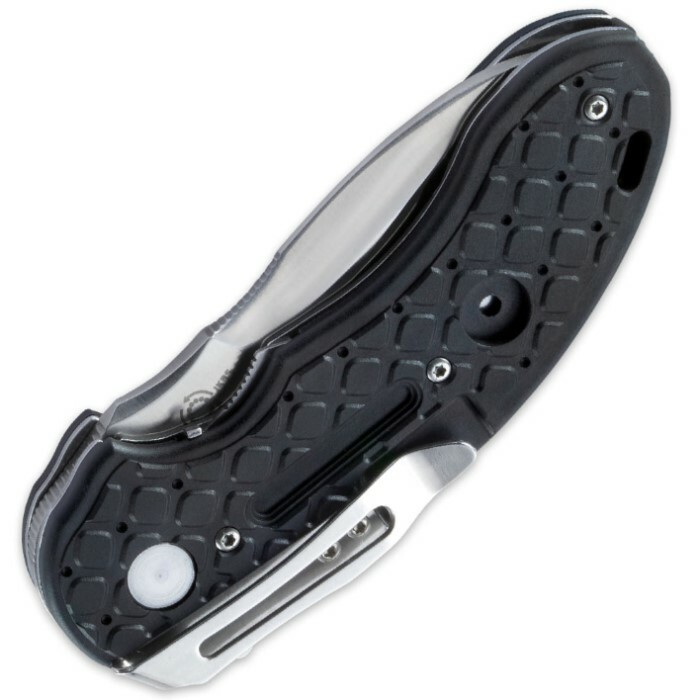 Flavio Ikoma No Time Off Folding Pocket Knife | BUDK.com - Knives & Swords At The Lowest Prices! Designed by Flavio Ikoma, the No Time Off is a hearty folding pocket knife that you will drop in your pocket to carry every day. 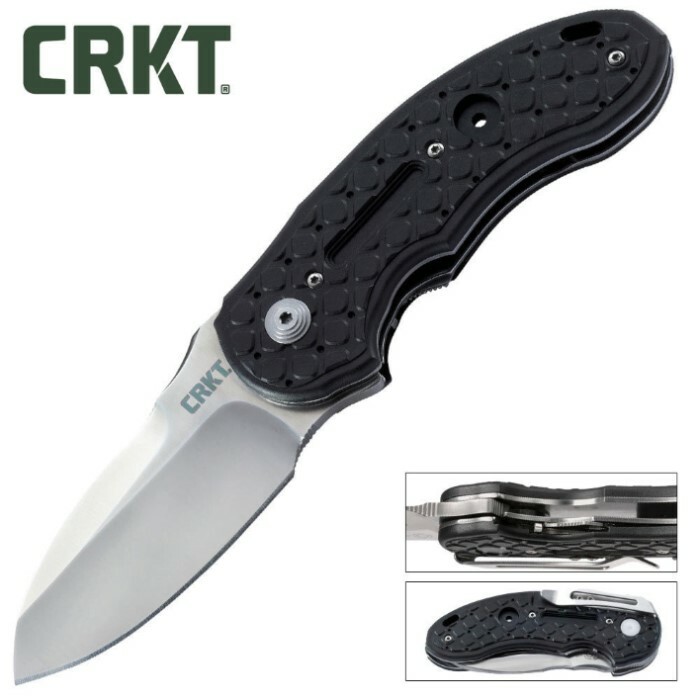 This rugged looking model's blade comes in just under 3" and is made of BD1 stainless steel with a hollow grind drop point. The handle is made of glass-reinforced nylon and when you grab the heavy-duty waffle iron traction grip, you are ready to go. The blade is locked into place by the new Ikoma Lock Safety mechanism which sets a pin between the frame and locking liner for ultimate security. Another innovation by Ikoma is the IKBS ball bearing pivot system which deploys the blade. A pocket clip completes the package.